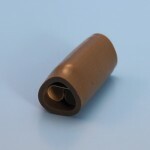 These Bullet Connectors are a type of connector that are very popular on many British Classic Cars such as MG, Mini, Jaguar, Land Rover, Austin and Morris. They are also used on many classic British Motorcycles such as Triumph, Norton and BSA. These Bullet Connectors are suitable for many Classic Motorcycles, Classic Cars, Mopeds, Boats, Caravans and many others. They are ideal for repairs or rewiring complete looms. Common Lucas style Bullet Connectors also Wipac and Miller and fits most British Bikes. We have a wide range of connectors, relays, relay holders, fuse holders, grommets and many other automotive electrical components.